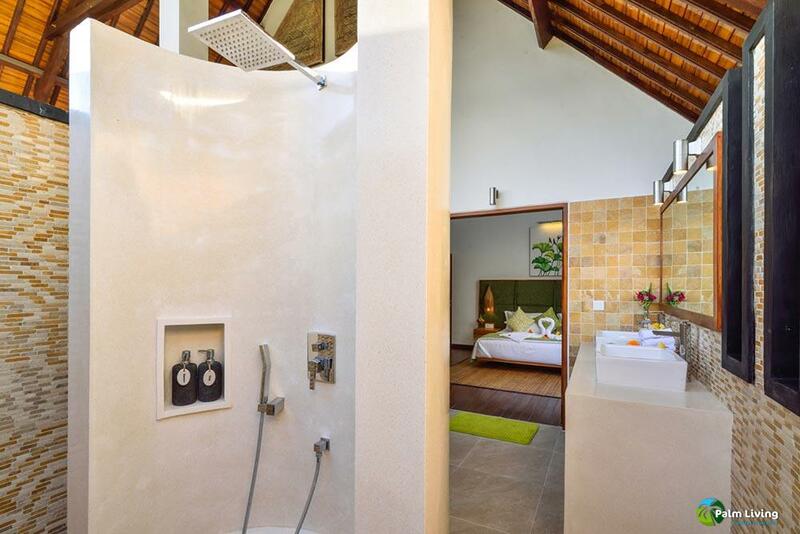 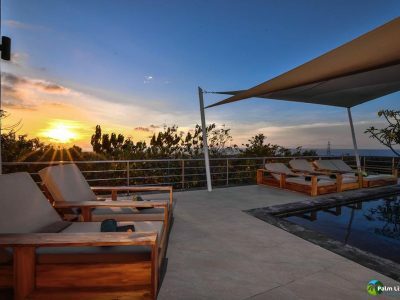 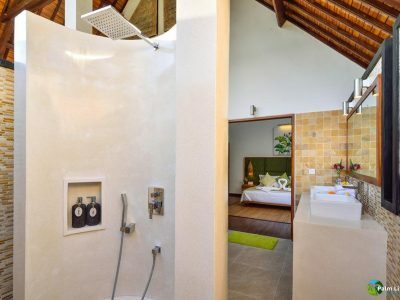 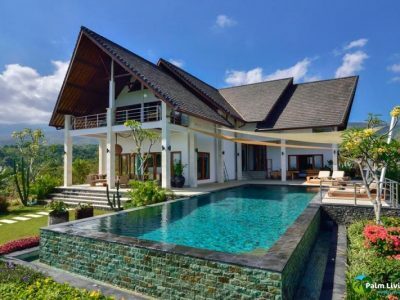 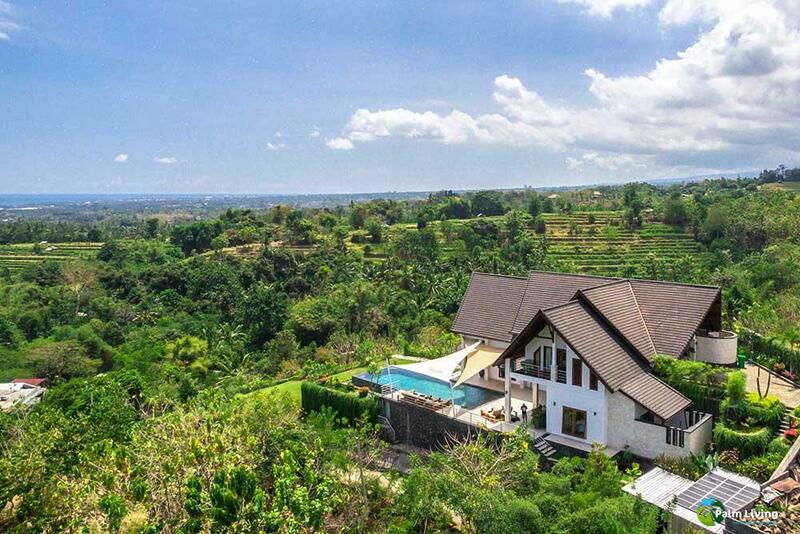 Located in the hills above Lovina in North Bali the villa features three spacious beds with all with ensuite bathrooms and an infinity pool with a 300 degree panoramic view of rice fields, mountains and sea/ocean. Great place for couples, business travelers, and families (with kids). 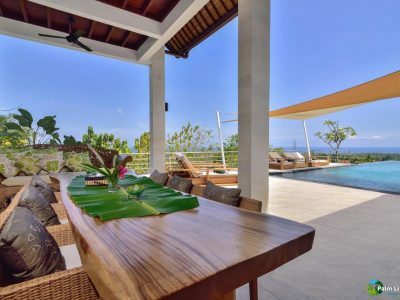 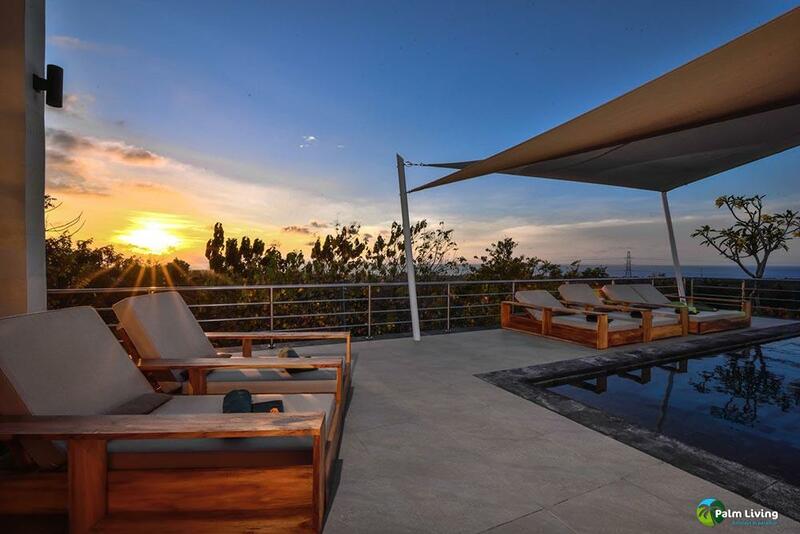 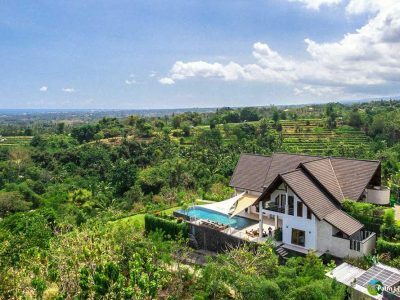 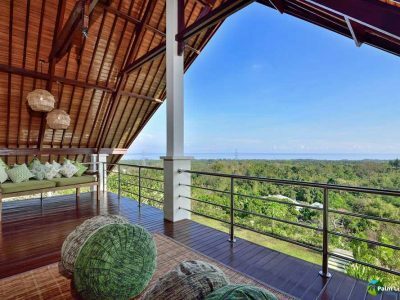 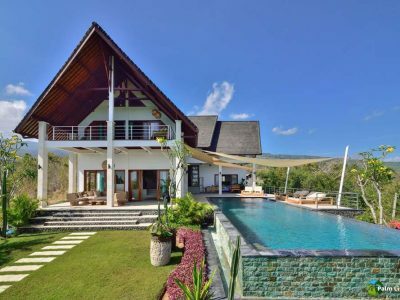 Built in 2015, Villa Sentosa is located in North Bali on a hill top with 300˚ panoramic view from farming terraces to the Bali Sea. 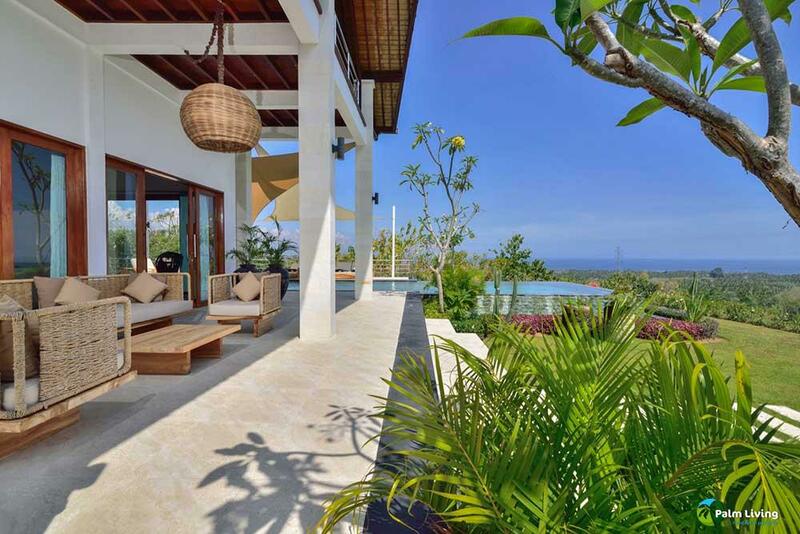 Throughout the day a gentle northerly breeze keeps the villa fresh and cool. 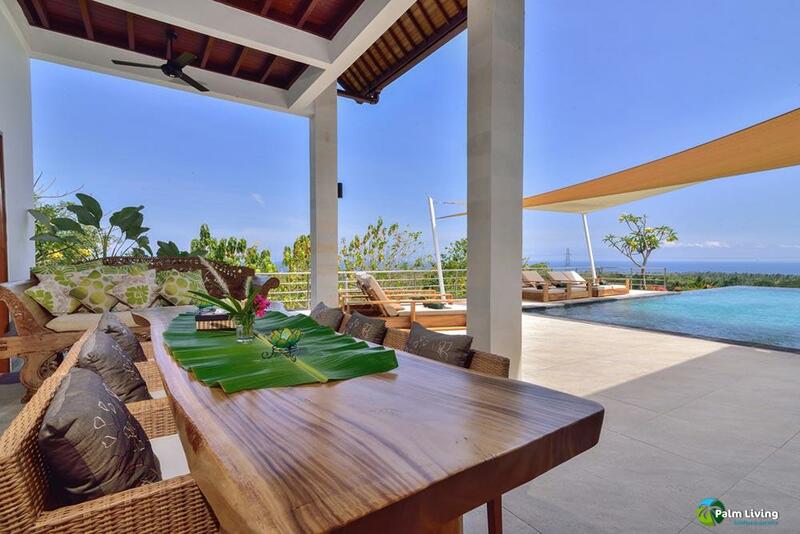 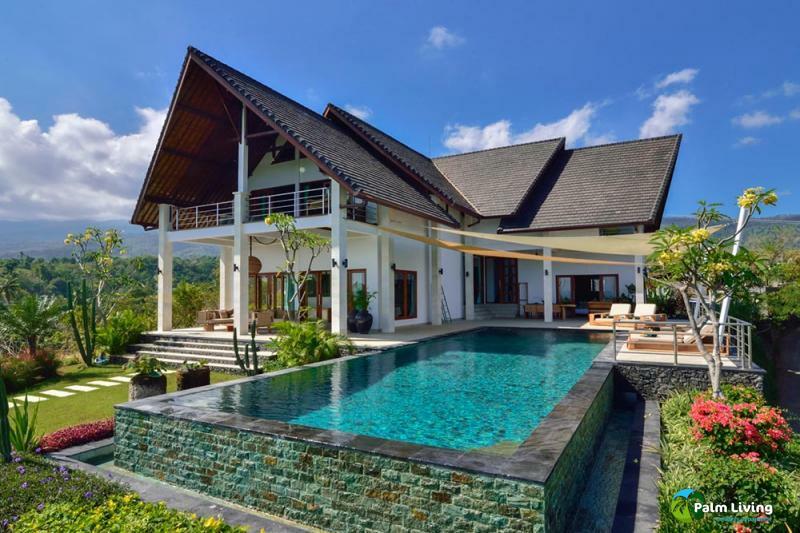 Villa Sentosa is open planned and designed to maximise the views of the surrounding areas. 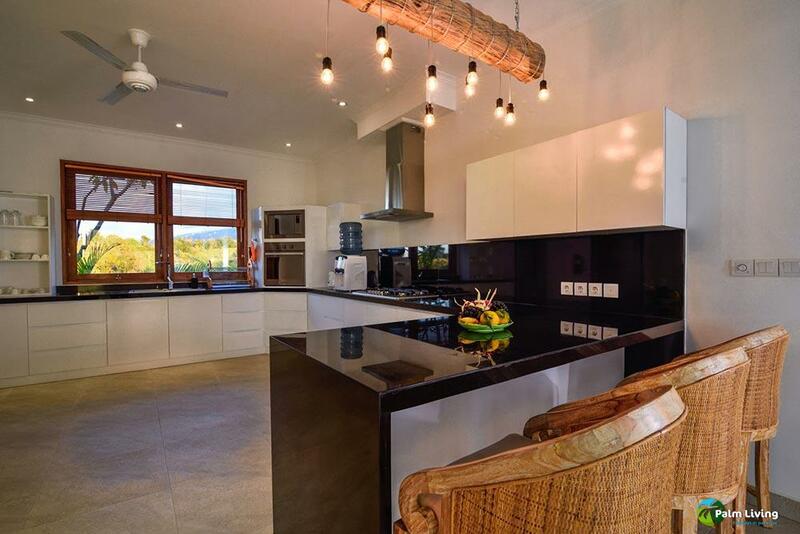 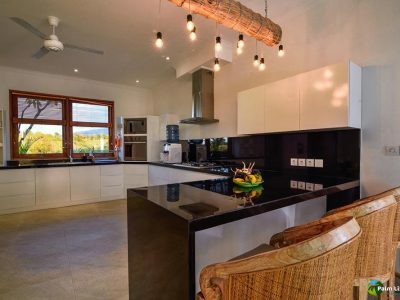 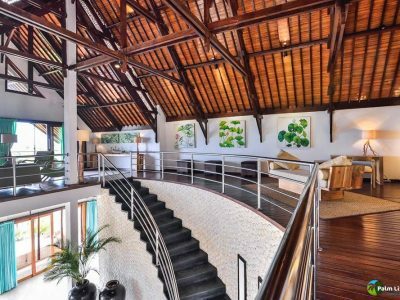 The bright downstairs area includes a large kitchen and dining area that opens up onto a partially shaded infinity pool and garden. 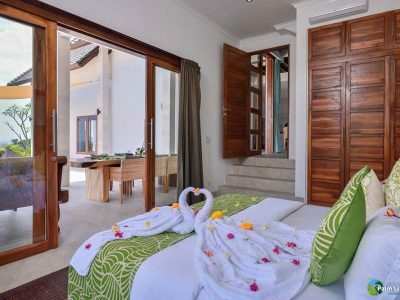 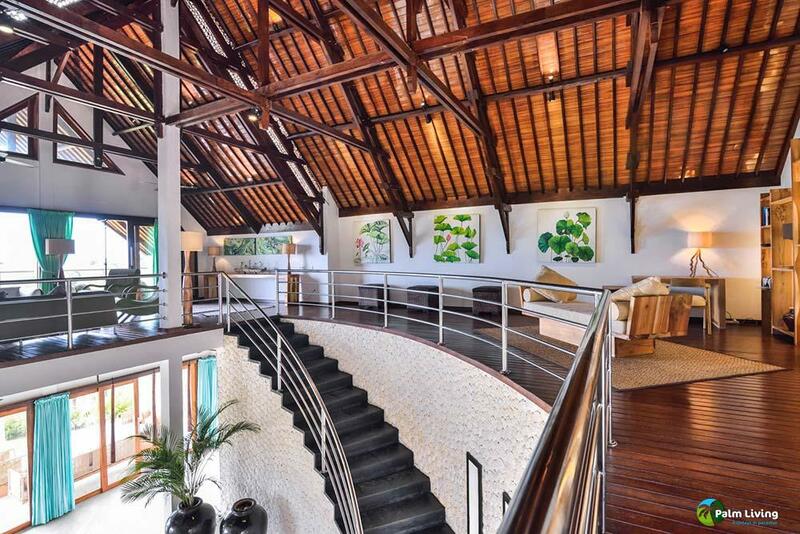 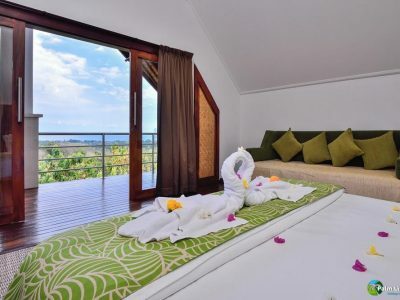 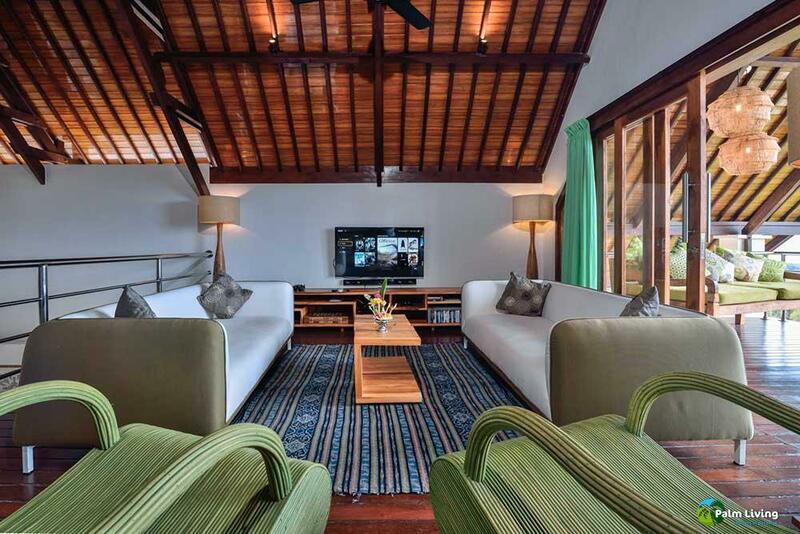 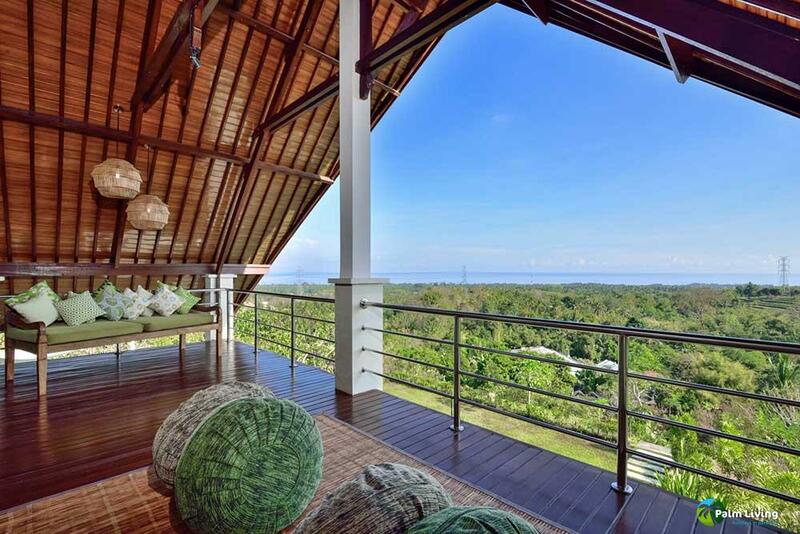 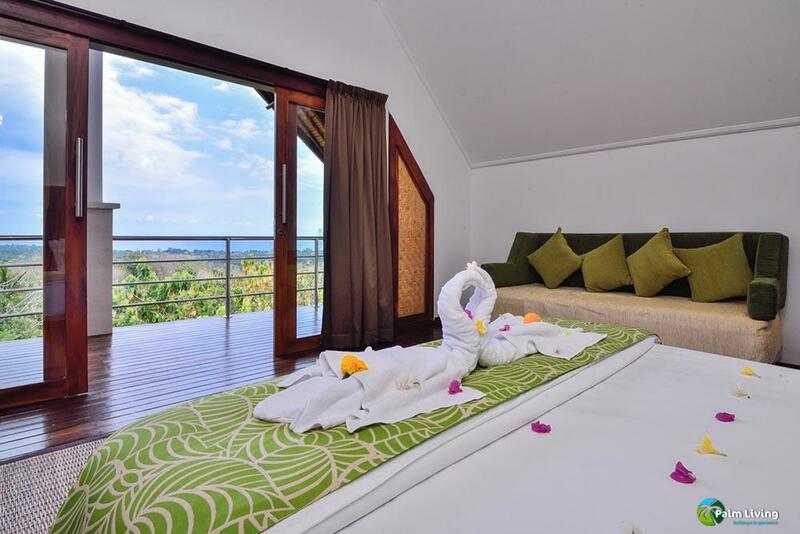 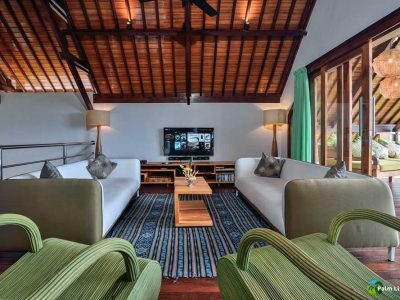 The upstairs living area provides a relaxing retreat from the Bali sunlight. 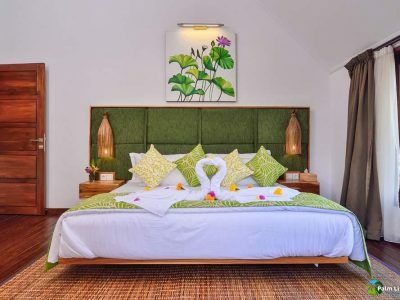 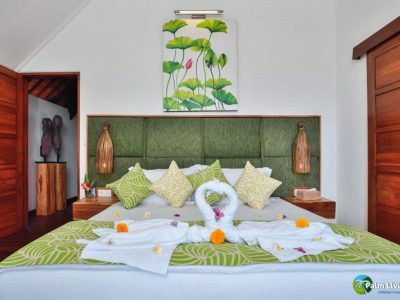 All 3 unique spacious air-conditioned bedrooms have king size beds and ensuite bathrooms, comfortably sleeping 6 guests. 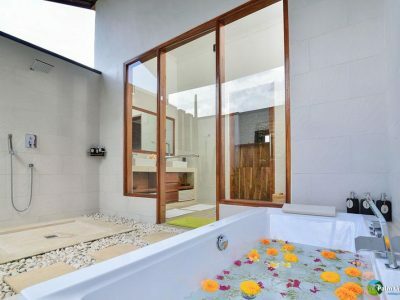 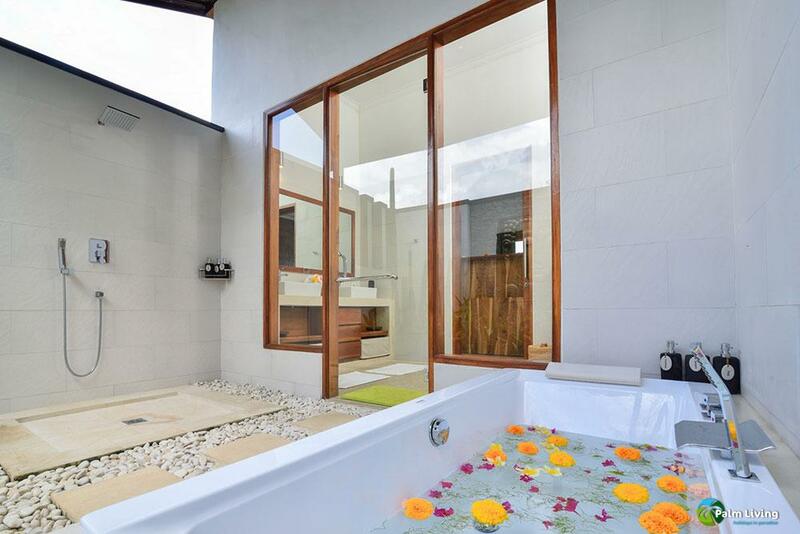 The bathroom of the master bedroom has a bathtub. 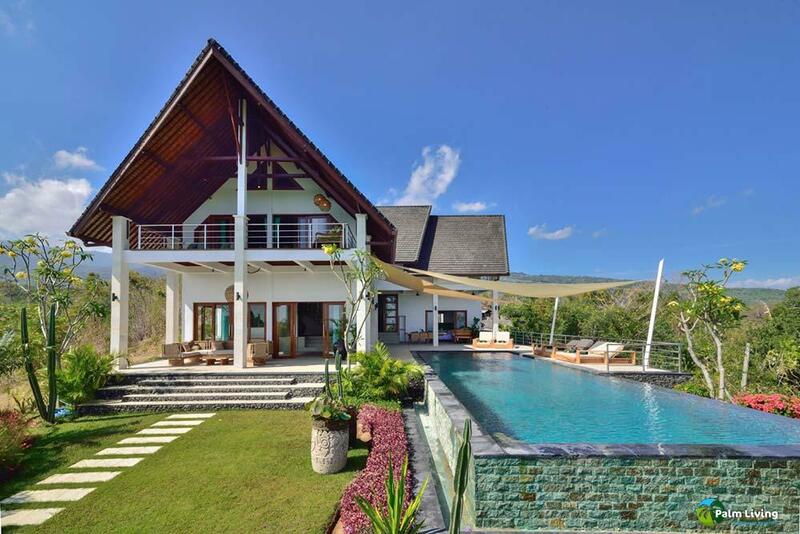 Guests have access to the villa, the infinity pool, and gardens. 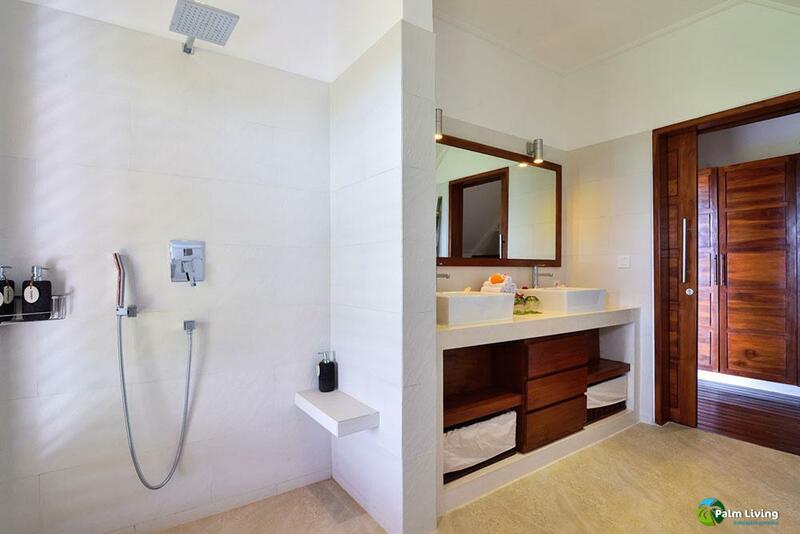 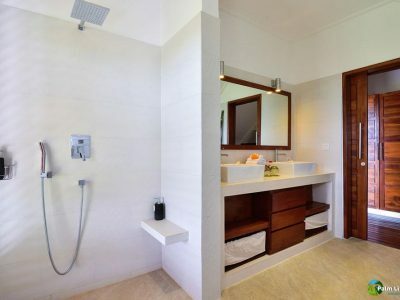 For guests that will be scuba diving there is an air-conditioned equipment cleaning room. 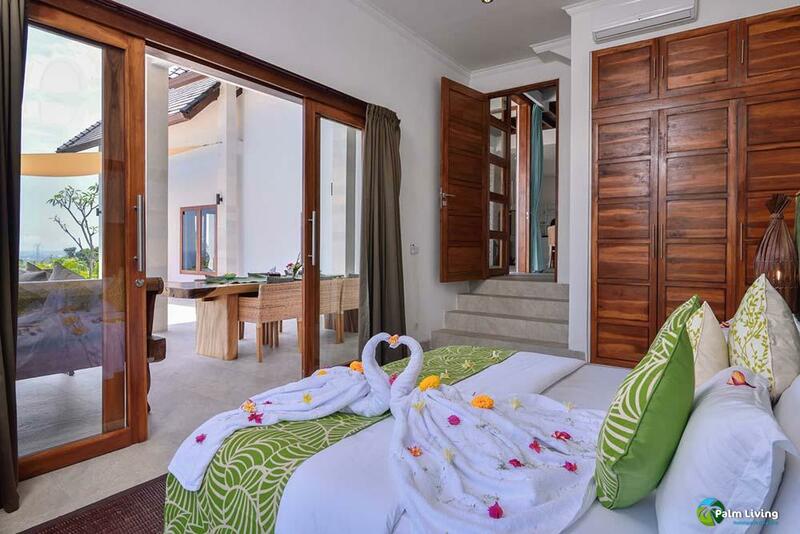 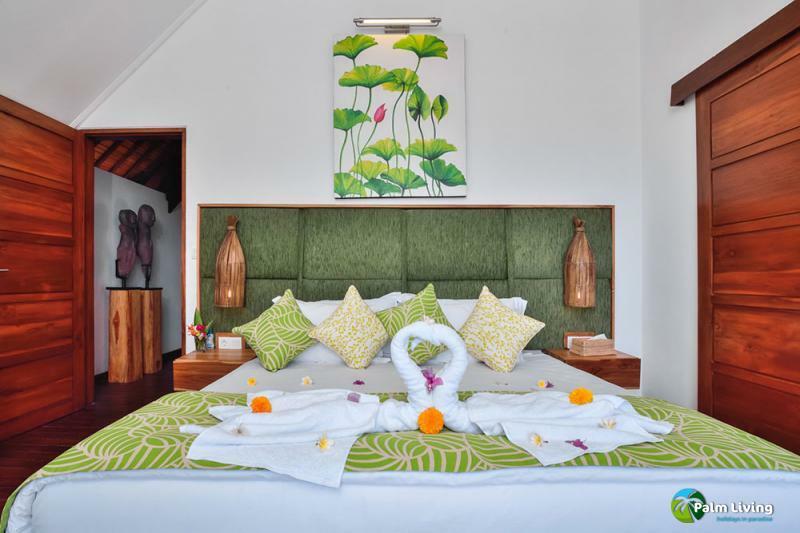 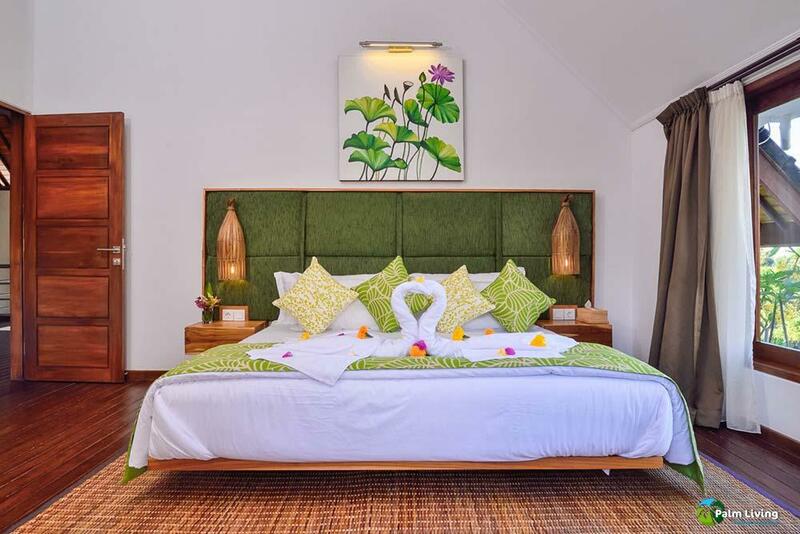 The villa is staffed 24 hours per day, late night arrivals are not a problem. 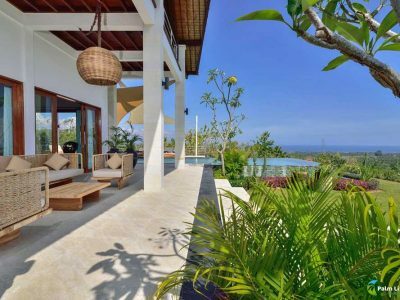 Villa Sentosa is on Jalan Damai, which is a very well maintained road that joins the main road through Lovina. 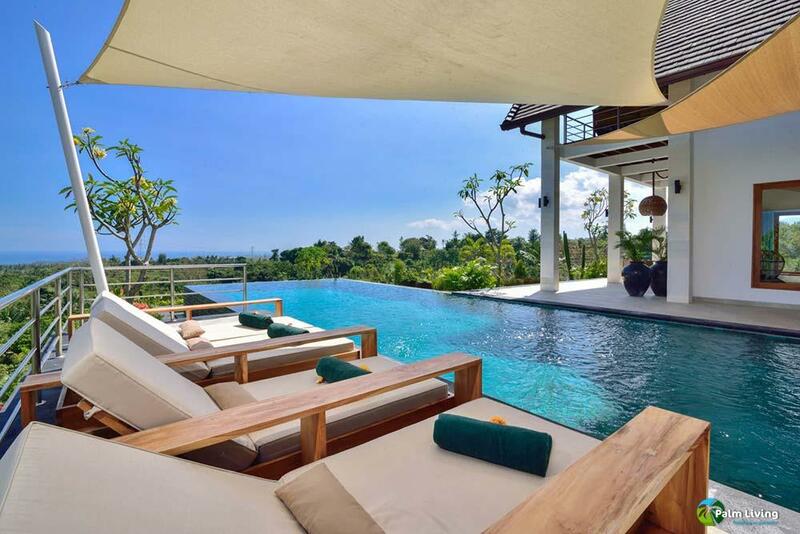 Drivers will have no difficulty finding the villa. 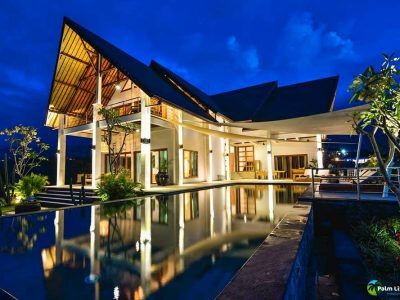 We do provide a list of drivers that are familiar both with the location of Villa Sentosa plus surrounding restaurants and attractions.